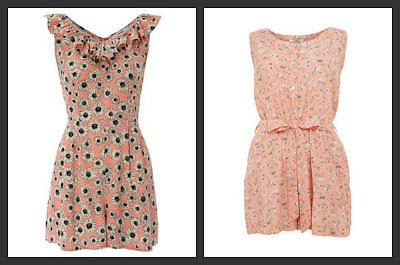 Festival Season is upon us and, inevitably, so comes the appearance of 'festival fashion'!! HighStreet retailers are filling their shelves with brightly coloured, patterned, glittered, atztec-ed, floral garments which festival go-ers will no doubt be snapping up! But what should you buy?! What should you consider taking away with you?! Well, here it is! I have compiled my list of Must Have festival items - everything from fashion & accessories to, make-up & sunscreens - everything you need for a fantastic festival season - whether you're attending one or not!! I dont think anyone has ever set foot in a festival ground without jewelry dripping off their skin, its pretty, its shiny, it compliments your outfit - and to be honest - you can get away with wearing much wackier things than you would on a day to day basis - so go for it! 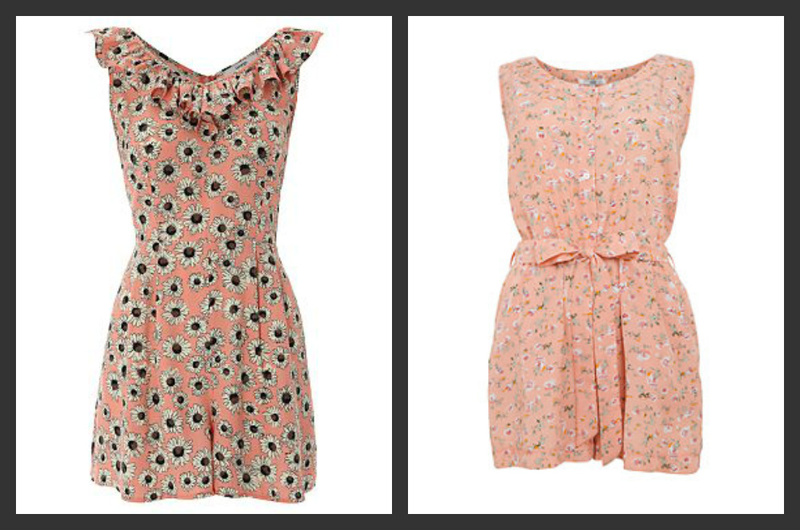 These are supercute and will make you feel all free-spirited and lovely! 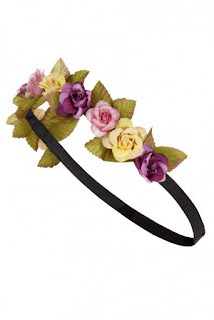 These two adorable headbands are from 'Primark' - Both are under £5! I love the big one - its so girly and lovely and will take any attention away from any greasy or messy hair! 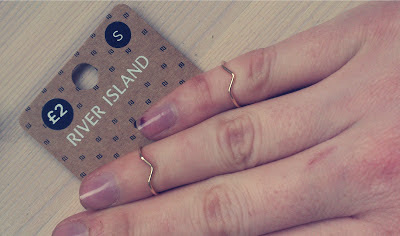 I got these lovely Midi Rings at River Island (here) for just £2! Midi rings are a massive trend right now and these are so cute! 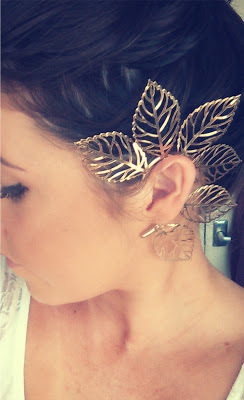 You can wear them like me or you could layer stack them up for ultimate festival fever! I got this gorgeous ear cuff from ebay for just 99p! Its beautiful and statement and i just love it! It will Really attract attention at a festival! Its comes in gold or silver - but for 99p why not get both?! 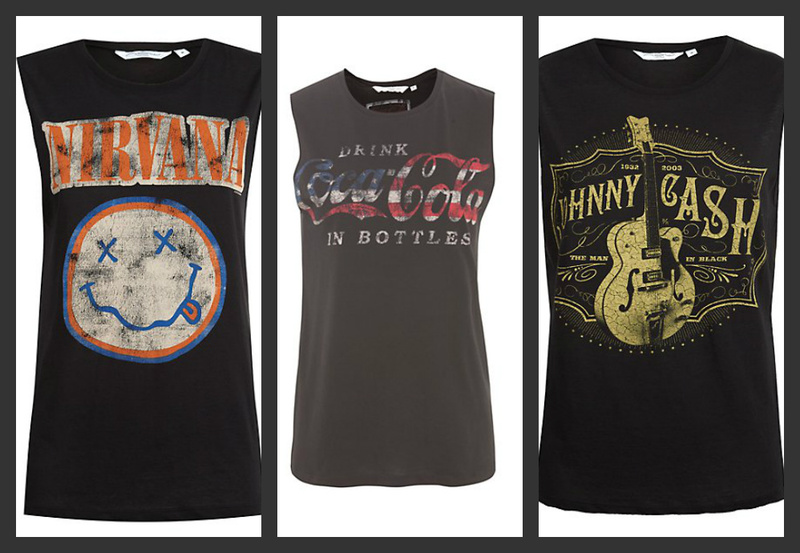 Easy to wear with ANYTHING, Slogan Tees are so versatile, pair with denim shorts, skirts, dungarees - use your imagination!! 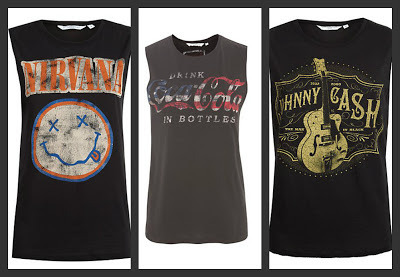 These 3 tees are all from new look - you can buy them here! We all know that you don't want to be taking the kitchen sink away with you, just your favorite pieces! .Face Wipes will keep your skin fresh and clean - These 'Simple face wipes will remove even water proof mascara and are suitable for sensitive skin types - £1.50 from superdrug! .False Eyelashes are a Priceless festival buy - they're perfect for when you don't have time to apply a full face of make-up, but will make your eyes appear beautiful and wide awake! These lashes from MUA are just £2.00 a pair and come in a range of styles! 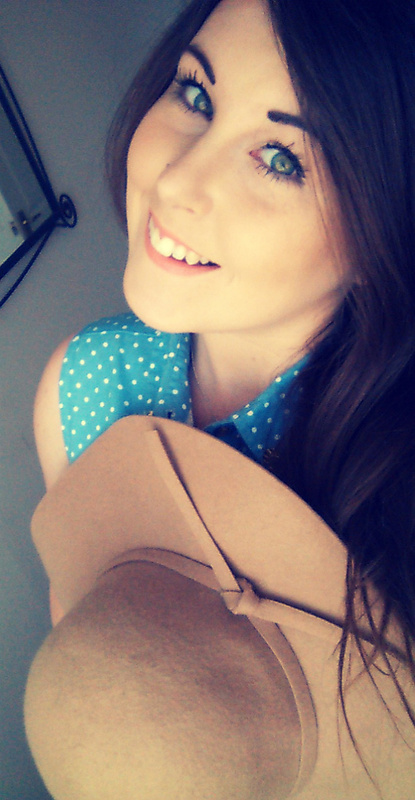 .Fake Tan is great for festivals that dont have the luxury of sunshine! st Moriz is just £2.99 from savers and comes in a range of shades so you can have a golden glow or a deep tan! .Deodorant is a no introductions needed essential - This Nivea pearl and beauty is my favorite as it smells beautiful and lasts ages - they are just 99p each at superdrug right now! .Dry Shampoo - the festival-goers dream! Your hair looks fresh, bouncy and just washed in 2 seconds!! This 'batiste' dry shampoo has a lovely tropical smell and doesnt leave your hair all white! £2.99 in superdrug! .Chewing Gum - it Might be hard to find a sink to brush your teeth so keep some Chewing gum Handy!
. Loo Roll - it sounds stupid but with all those people using the porta-loo's everyday, you never know if you're going to get your turn and there's none left! .LipBalm - whether your festival is windy or sunny - you will need some lip balm - This is my favorite it moisturises and it has a lovely pink tint to it too - I picked this up at my local 99p store!
. Sunscreen - you would be silly not to take this - even if its not blisteringly hot when your partying you still need to be careful of those sunrays! 'Malibu spf25' is my favourite as it smells tropically beautiful and is just £2.99 at superdrug. .We all want to show off those killer new shoes on our holidays so its important to prepare just incase you get a blister! - Pack some blister plasters, you wont be sorry! 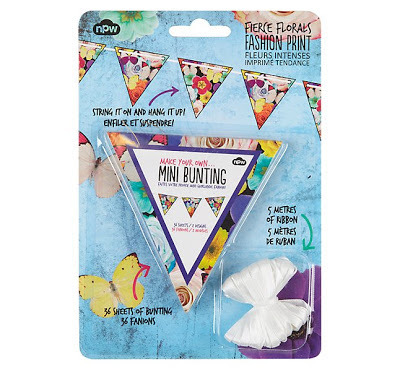 These are £3.69 from superdrug.
. And finally, we all know that too much partying can take its toll - so stop any nasty headaches in their tracks with some paracetamol! Body art is so fun and creative, so get in the spirit and paint yourself beautiful!
. 'Eye Rock' eyeliner tattoos are beautiful They come in so many different designs take seconds to apply and look fantastic! 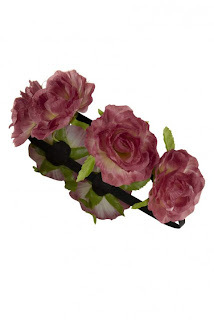 These are on sale for £3 right now at claires accessories!
. Rub on tattoos are also brilliant fun! They are so easy to apply, come in endless designs and can be applied anywhere on the body! (The third photo is of one i put on my foot), these are £4.00 from claires accessories! Sunglasses are not only eye-protection at festivals - they're also a statement, so make yours with your favorite pair! .These cute Peace sunglasses were just £1.50 from Primark! I love the colours and how big they are!
. 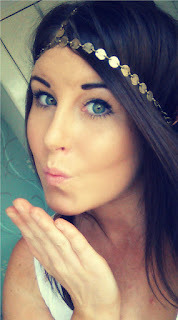 These amazing Heart shaped sunnies are £2 from primark but they look so expensive!
. Geek-chic sunglasses are always a big trend and these were just £1 in primark!!! So If you're going to a festival this year, Grab your bumbag, your camera (& your ticket!) and have fun! Please stay safe and most of all enjoy yourself!! All us Girls Love a Relaxing, Bubbly Bath Time - it's the perfect way to wind down or de-stress after a hectic day! To be honest - who needs an excuse for a Bubble Bath?! When Shopping in a Small Crafty Shop in Chichester Last Weekend With My Boyfriend, I Spotted a 'BombCosmetics' Stand. 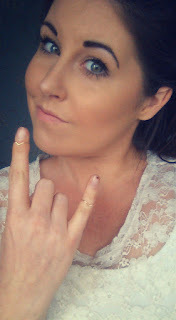 If You havent Heard of Bomb Cosmetics before - then you are really missing out! 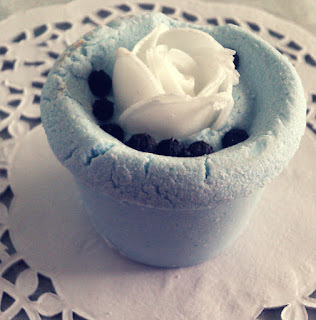 They are a Company who handmade squllions of beautiful bath treats such as the good old bath bomb, but also other products like shower scrubs, candles, bath mallows and many more. All of their products are handmade, not tested on humans or animals (yeyy!) and contain essential oils and natural products to make bathtime that bit more special! && Bonus - all of their packaging is not only gorgeous - but recycled too! Visit their fantastic website here! Anyway, As I wandered over to the stand I noticed that they were doing an offer I just couldn't pass up - 3 Bomb Cosmetics Bath Products for just £2.75! When the products usually average £2.25 each, who could resist such a bargain! None of the products were labelled unfortunately - but I have done some research to find out their names! I chose this little Gem - 'Promised Land' Bath Creamer. Bath Creamers are similar to Bath Bombs, but they fizz more gently and release much more moisturising-ness into your bath - making them perfect for the winter months when your skin can dry out! 'Promised Land' is a Beautiful Creamer filled with essential oils, shea butter, Frankincense Milk & Honey! 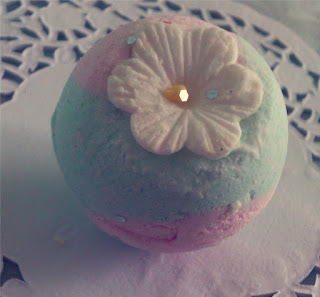 It Looks Gorgeous as it fizzes in the bath water and it makes the entire bathroom smell delicious! This has to be my Favourite! It is 'Night Garden' Bath Mallow. Bath Mallows are also highly moisturising and fizz softly in your water! I Like to crumble them between my fingers as it releases the wonderful aromas and leaves my hands so soft! 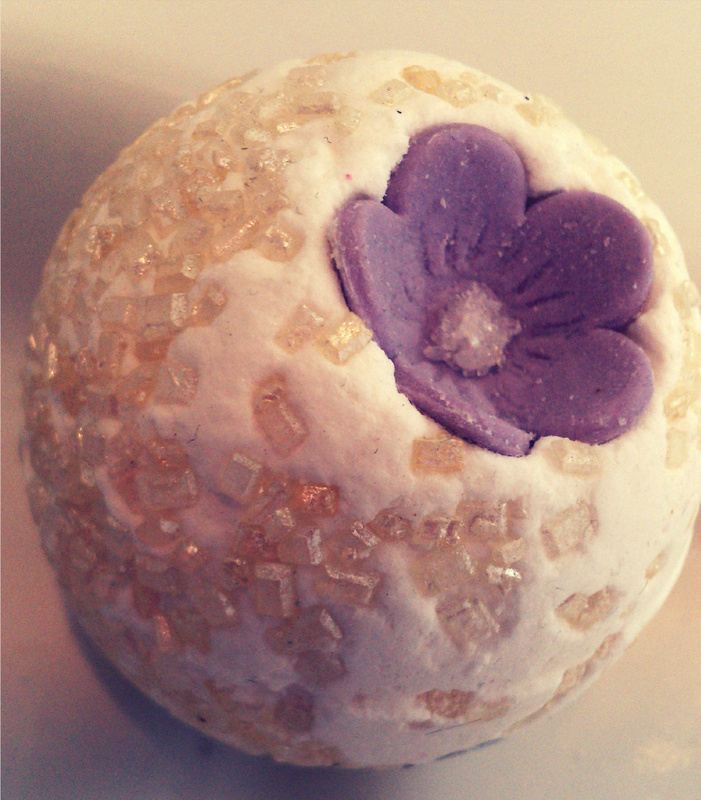 Not only is this Mallow super Pretty but it contains Pure Magnolia flower and Palma Rosa essential oils which help calm and relax you - perfect after a long hard day at work!! There are also notes of jasmine, lily and carnation, Orange blossom and woods. 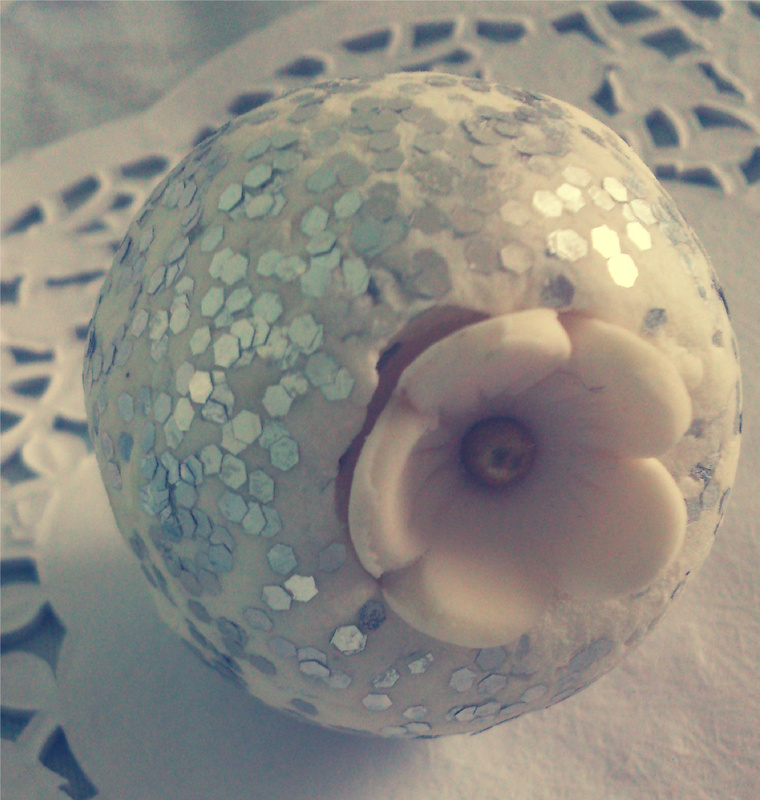 This Treasure is 'Petal to the Metal' Bath Creamer. Just Look at it! Need I say more?! It contains a lovely floral scent of neroli and jasmine with Shea butter to moisturise your skin. It leaves you feeling calm and your bath looking sparkly! I cant Get enough of this one! 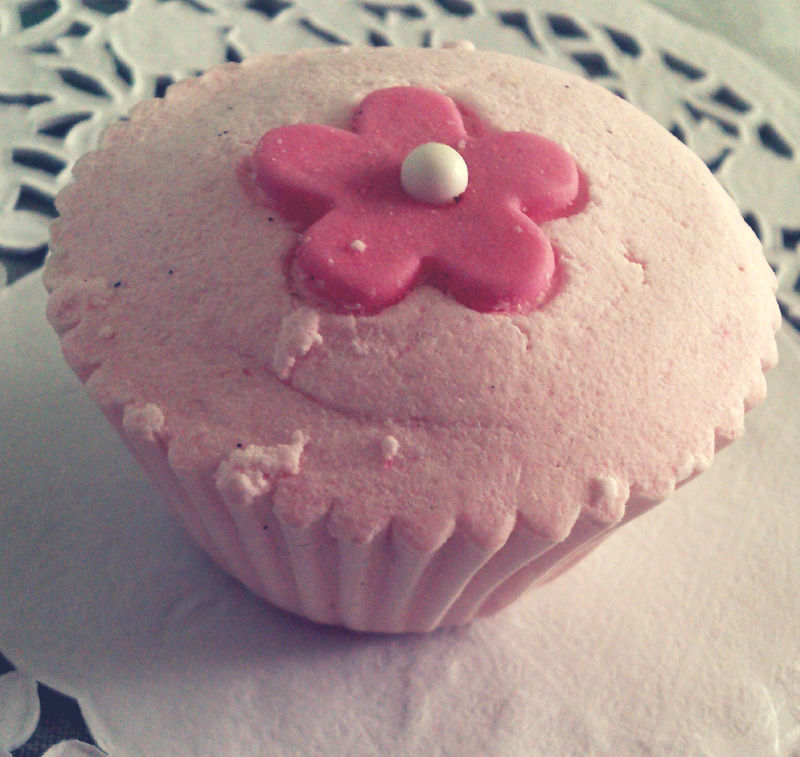 This little beauty is 'Cooler Shaker' Bath Creamer. I absolutely love the pastel colours on this and the little flower totally completes it! It has a delicious zesty scent with Shea butter along with cranberry, lime, strawberry, raspberry, plum, peach,and apple plus basil essentail oils! It is super refreshing and toning! I also picked up these 2 Little Cuties! I am not sure what they are called as I coudn't find them on the website, but they are both just as lovely as the rest! I really love how all the products are not just designed to smell nice or do good for your skin - they all look beautiful too - and the fact that they are all handmade is so comforting! A little Tip I would suggest, is to break the products in half and use them twice! They are all super moisturising and packed with oils so half of each will be plenty in 1 bath! If you have never tried a bomb cosmetics products - I highly recommend them! Give their website a visit and have a look around - they also sell sets - so you don't have to make your mind up on just 1 product! 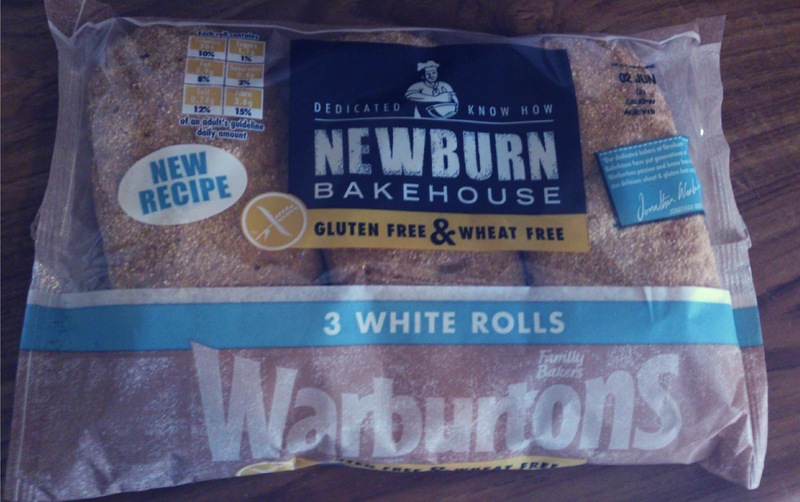 Coeliac disease (pronounced see-liac, ) is a condition which leaves the bearer with adverse reaction to gluten, and means they are unable to digest it. Gluten is found in wheat, barley and rye and Coealiac Disease means that eating gluten damages the lining of the small intestine. Coeliac disease affects 1 in every 100 people, however only 10-15% are diagnosed. If you believe you may have Coeliac Disease, Please Visit Your Doctor for advice and help! Since January I have been taking steps to not only change my weight and body, but to forever change my whole outlook on a healthy, happy, clean lifestyle, including Daily exercise and preparing healthy meals and snacks from scratch with clean ingredients daily! Not Just Faddy diets! One of my Biggest inspirations during this time has been my dear friend Catherine. She Has a fantastic instagram account full of tips, motivation and inspiration which you can visit here to help with your lifestyle transformation! Catherine was diagnosed with Coeliacs disease almost 3 years ago (December 2010) and has since been living a gluten free lifestyle. To Be honest I didn't know much about The Gluten Free Lifestyle - it was something I had heard about but never really looked into much. So when Catherine set me the challenge to have a 'wheat-free week' to raise awareness of the Coeliac condition I was very excited and jumped at the opportunity! My Wheat free week was a full week in which I was to follow the gluten free/Coeliac lifestyle - something which proved to be difficult at times but overall was very eye-opening and fun! I visited my Local Tesco to pick up a few gluten free items which I could make my weeks meals with - but I never realised what a limited selection there would be waiting for me and how costly some of it was! There were items such as chocolate bars, bread, pasta sauces - items I never even realised contained gluten. And that's when it all became very real - how much preparation and for-thought I would need just to plan a days worth of meals! During my wheat free week I did not want to stray too much from my healthy eating but I spotted a couple of 'snack' items that I wanted to try to see the difference from the regular versions! 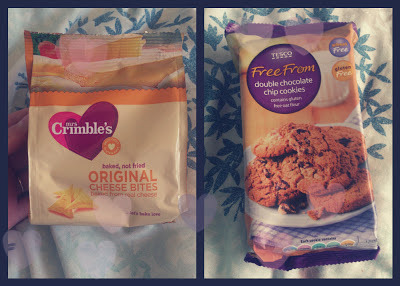 I Bought some 'Mrs Crimbles' cheese bites - These were 80p per bag from 'Holland&Barrat' and they were delicious! I really wouldn't mind eating these all the time and I wouldn't have noticed the difference if I were unaware that they were a Gluten Free product! I also tried out some Tesco 'FreeFrom' double chocolate chip cookies - Costing £1.50 for 8. These were a naughty buy but they were also very tasty (reminded me of an oat cookie!) and once again I wouldn't mind eating these in place of regular cookies! I Let my Fiance taste one and, although he wasn't as pleased as me, he said he liked them too! 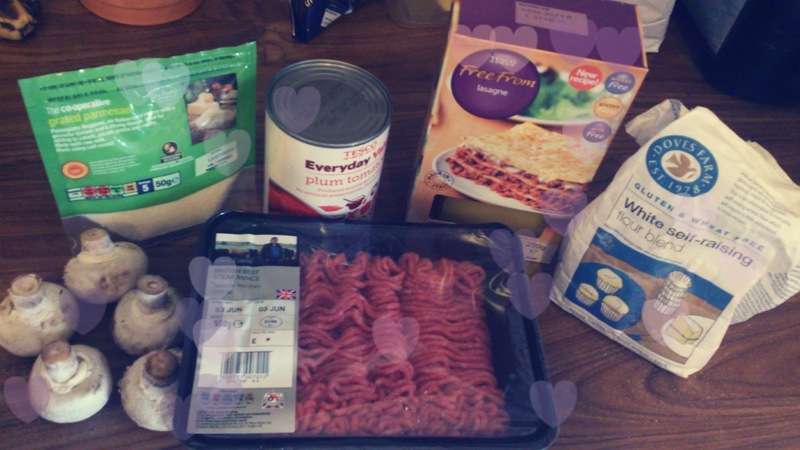 Meal Times were a different story - it was never as easy as opening a packet, I had to plan in advance what I would be making and make sure I had suitable gluten free products. 1) Place half the oil in a frying pan, cook the pork in a frying pan 3 minutes - sprinkle with the coriander and cumin seeds. Then set the pork aside. 7) Sprinkle sesame seeds and coriander for presentation. 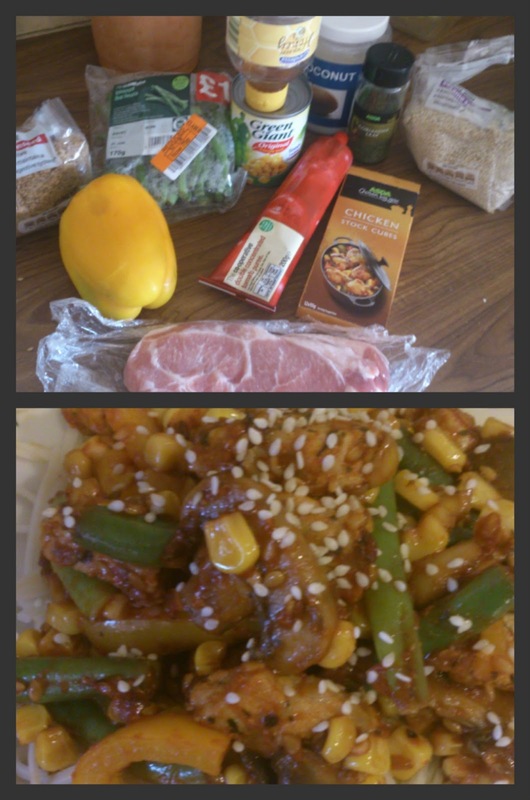 This recipe tasted amazing and was only 200 calories per serving! It was so flavorful and delicious and filling, I plan to make this once a week! I also made a gluten free lasagne - I have always loved lasagne but before January I used to make it the unhealthy way - from jars! Making it from scratch is so much more delicious, healthy and rewarding. 1. Pre-heat oven to 200°C, 180°C fan, 350°F, gas 4. 2. Place mince, onion and garlic in a pan and fry, stirring until the beef is browned with no trace of pink. 3.Stir in the tomatoes, tomato puree, herbs, mushrooms, sweetcorn and pepper, cook through. 5.For the sauce, bring the milk to the boil with the bayleaf. Take off the heat and leave to infuse for 10-15 minutes. Add the butter and flour. Whisking constantly, bring slowly to the boil and simmer for 5 minutes until thickened and smooth. 6.In an ovenproof dish, layer the meat mixture, lasagne sheets and white sauce, meat, lasagne and sauce. Then sprinke with the cheese. 7.Cook in pre-heated oven for 30-40 minutes. You could serve this with some vine tomatoes or some gluten free garlic bread. Lunch time was also difficult as it was hard to prepare suitable meals around my daytime plans but visited a few gluten free websites and got some ideas! 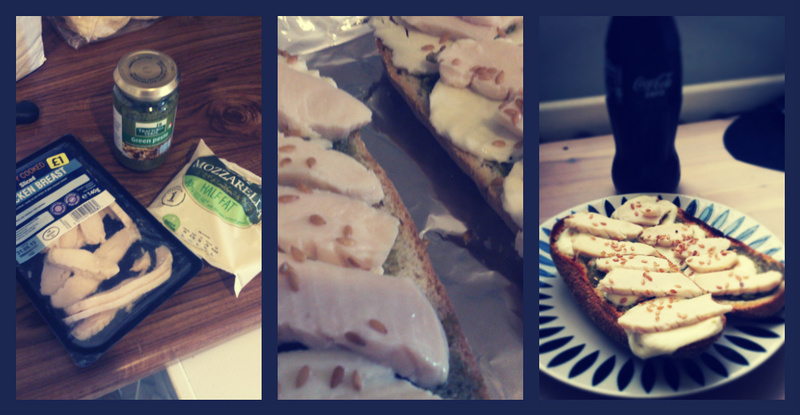 This was so yummy and although the gluten free bread was a little dry the pesto and mozzarella made it perfect! Gluten Free Waffles with Strawberries, BlueBerries and a Drizzle of golden syrup. Nutmeg Gluten Free Pancakes with kiwi Blue berries and a Drizzle of Golden Syrup. Vanilla Gluten Free Waffles with Blueberries and Orange. Gluten Free Cinnamon Rolled Oats with almonds, raisins and sultanas. Gluten Free Waffles with Grapes and a drizzle of chocolate sauce . 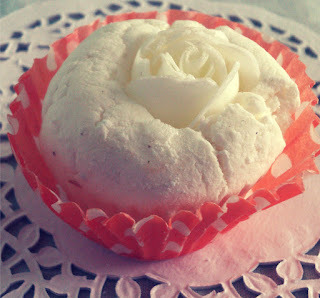 I also made some of my own snacks which were creative, fun and yummy! Apple crisps were one of my favourites! I visited My local farm shop and picked up a couple of fresh apples. I cored these and sliced them very thinly. I placed them on a baking sheet and sprinkled them with a mix of cinnamon and artificial sweetener. I cooked them in the oven on gas mark 1 for 30 minutes - turning over and dusting half way through! These were delicious! Crispy on the outside and soft and fruity on the inside! 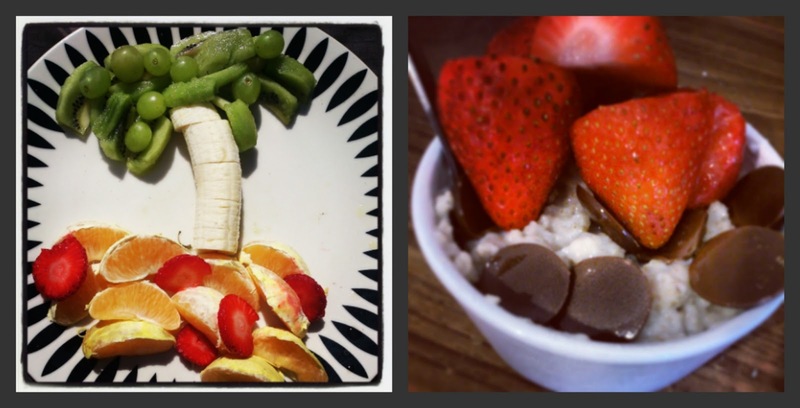 I also snacked on a lot of fruit through out the week and made some mini rolled oat bowls with dairy free chocolate buttons and strawberries! My gluten free week was so much fun but was definitely an eye-opener - It really made me appreciate how much freedom and choice I have in my usual diet and lifestyle. I really loved cooking all my own food from scratch and learning about how different ingredients can affect and enhance your body in different ways! After a week of gluten free foods I feel so much better - more alert, much more energy and I am much less bloated! I would recommend this to anyone - just give it a try for a week - you will really notice the difference in yourself! I am Going to try to have a gluten free week out of each month to remind me how lucky I am and also to make sure I don't forget to eat all those greens! Catherine is currently putting together her very own Gluten free recipe E-Book - keep an eye on her Instagram page for when it becomes available! 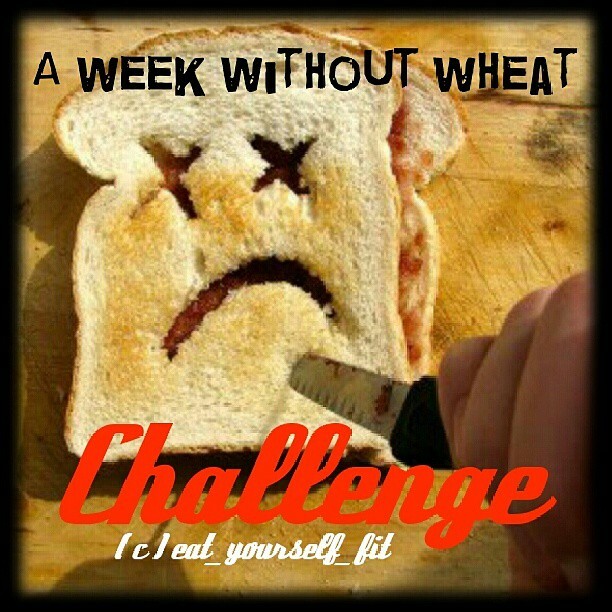 I Hope all my lovely readers will give the 'week without wheat' challenge a try! Please Let Me Know how it goes for you all!